The OSCE mission monitoring the conflict in eastern Ukraine admitted yesterday (18 July) claims that Russia’s security agency had received inside information about its activities came as a major blow. Germany’s ARD broadcaster reported Tuesday evening that Russia’s Federal Security Service (FSB), the successor to the KGB, had obtained an inside report through a source in the OSCE. “For us it is a big blow and we will naturally examine what happened and how,” Iryna Korobko, media officer of the OSCE special monitoring mission, told AFP by phone. The report allegedly contained personal information on the OSCE monitors, including the types of women they prefer, their susceptibility to alcohol, their financial situation and even their contacts in Ukraine. It also was said to include information about where members of the mission lived and worked in eastern Ukraine, as well as the security measures in place around them. Observers from the Organization for Security and Cooperation in Europe (OSCE) run a monitoring mission in the conflict zone in eastern Ukraine where Ukrainian forces are battling Russia-backed separatists. ARD said that one staff member was described as “liking young women” while another was said to abuse alcohol — information that could be used to put pressure on monitors. According to ARD’s FAKT show, Russian intelligence acquired these documents from a spy who is likely to be a staff member at the OSCE. ARD said it obtained from an informant in Ukraine a copy of the hard disk that was allegedly passed to the FSB. 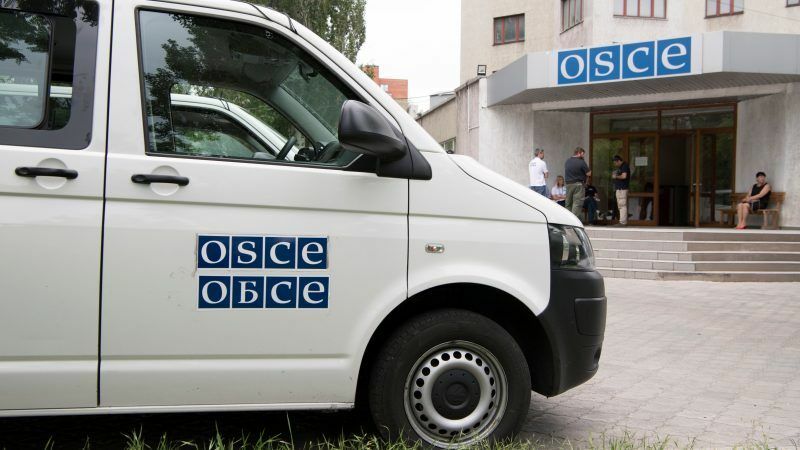 In a statement, the OSCE expressed “concern” over “any alleged breach of its security”, but said that it “cannot comment on documents of unknown origin without proper verification”. “The Mission is concerned that alleged breaches may carry a potential risk for its staff, compromising their privacy and security,” the statement said. More than 10,000 people have been killed since the conflict with Moscow-backed rebels broke out in April 2014 following Russia’s annexation of Crimea from Ukraine. The OSCE team’s 600 members are the only independent monitoring mission in the war-torn area. They provide daily reports on the fighting and have drawn the insurgents’ ire for accusing them of being responsible for most violations of the truce deal. Stop this Dr Goebbels kind of propaganda. Where when and how will they be able to comment?! ?